tour (90 min) leaves at 4:00 p.m. The history of the treatment of the insane prior to state run facilities as well as the people instrumental in improving that treatment. The nationwide influence of the Kirkbride Theory. The effects the Civil War had on the construction of the oldest parts of the hospital, "The Civil War section." The architectural history of the facility. The socioeconomic influence of the facility throughout history, including both World Wars and the Depression Era. Facts and features unique to the hospital. 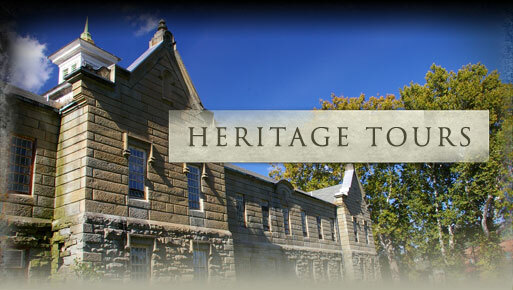 This companion tour allows travel through the Forensics Building areas designed to hold the criminally insane for over a century. Learn about the admissions process and the riot that stopped it all. Tours leave on the hour. The photography tours allow you entry to the interiors of the Kirkbride, the Medical Center, Geriatric building, exteriors of all buildings, and the grounds. This is a semi guided tour without historic information. Check in for the photography tour is ½ hour before the start time. Due to insurance reasons, drones are not allowed on the property. Please dress appropriately for the weather. Need more information? Please call 304-269-5070. The VIP Tour is an exclusive tour which includes a combination of daytime tours. On this tour, you will walk through the Kirkbride building with an experienced, knowledgeable guide. This tour does not have a standardized script or tour route. It combines history, paranormal, Civil War, architecture, and treatments. The guide will follow the interests of the group in an interactive way allowing for conversation, questions and a customized tour experience. It is 90 minutes long and offered on Wednesdays and Saturdays at 1:00 p.m. and 4:00 p.m. Note: Please dress appropriately for the current weather conditions. It is hot in the summer and cold in the winter inside the building. © Copyright 2019. Trans-Allegheny Lunatic Asylum. All Rights Reserved.